TECHNOLOGY AND VIRTUAL GAMES COMBINED TO BOOST BOOKMAKERS AND OPERATORS BUSINESS IN EUROPE, LATAM AND AFRICA. 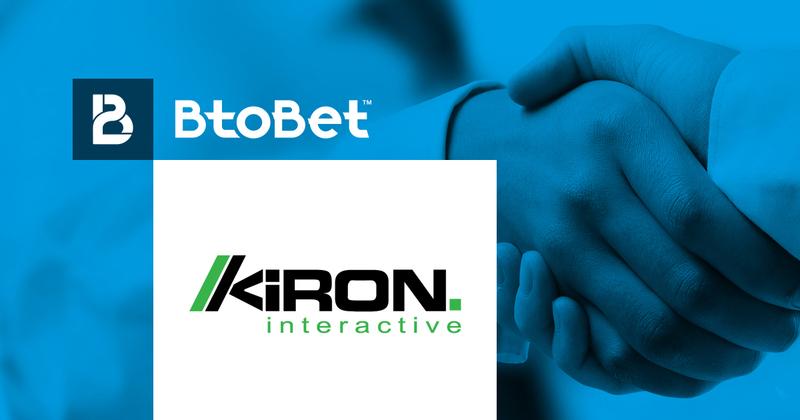 Awards winner and technological partner BtoBet signs an agreement with the leading Virtual Games supplier Kiron Interactive, providing licensees with very high-quality content and technology to appeal a wider range of players. Kiron Interactive is a premier brand in the virtual gaming environment, with more than 16 years of experience. The deal will see Kiron ‘s full 20 Virtual Sports and number games portfolio available to the sports betting, casino and lottery businesses. BtoBet will participate at ICE Totally Gaming, the 6-8 February, at stand S1-320.